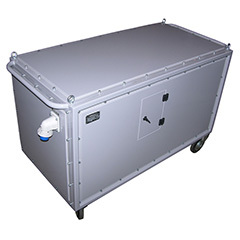 ARMPOL is an award-winning Polish company that researches, develops and manufactures modern mobile containers and equipment especially for the Defense industry. The enterprise incorporates the latest mechanical, electrical & electronic, hydraulic, and pneumatic technologies to provide solutions for demands, including special containers and related air conditioning, filtering, and power generation requirements. 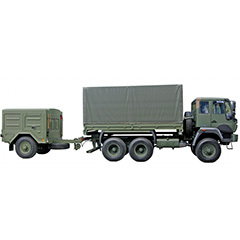 ARMPOL is specialized in the production of mobile containers tailored to the demands of the Armed Forces. 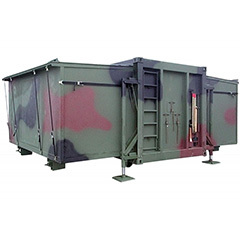 These containers are designed to be used by armed forces as: command and communication centers; command and refreshment facilities; storage and power supply centers; power supply centers; servicing and repair workshops; medical facilities; specialized laboratories; disinfection and decontamination stations; mobile canteens and laundries; and much more. 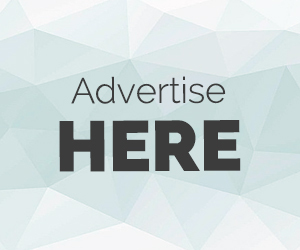 The manufacturer sells its products only after conducting rigorous, military-grade quality tests, getting approvals & certificates from relevant organizations, and getting production documentations approved. Production lines in the firm are continuously monitored and approved by the 15th Military District Representation (RPW) unit. 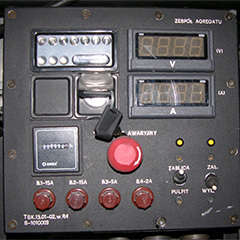 ARMPOL holds a license for the design, production, storage, and trade of these special products granted by the Ministry of National Defense (Poland). All of its containers are mobile, modular and highly secure, making it easy to host any kind of relevant activity (command & control, for example) on-field or in-battle, where time, safety, stealth & space play crucial role. 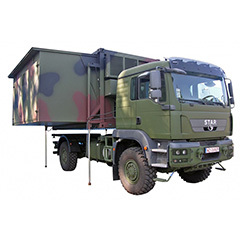 The company’s products & services are popular for their extensive use by the Polish army in various peace-keeping missions in the Middle East.